Even in Venezia city where space is so precious need for the public social space was always recognized and masterfully executed in the planning process. 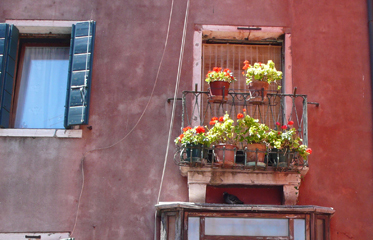 This is typical courtyard square in the residential area of Venezia with very pleasant ambiance. It is providing gathering place, air and sun as well as vintage points for observations. Some windows are even equipped with rear view mirrors for more convenient and discreet visual control.